Self-regulator Finra has filed a complaint against a former broker — who’s heading to prison for a decade — for allegedly failing to disclose a felony charge on his Form U4 in a timely manner, the industry organization says. James Paquette, while he was associated with Investacorp, had been charged with a felony in South Carolina in May 2016 — namely, with criminal sexual conduct in the third degree, according to a complaint published by Finra. He learned about the charge May 3 and was arraigned May 6, and was issued a written indictment for the felony charge in October 2016, Finra says. But he didn’t disclose the charge on his Form U4 nor notify Investacorp so that it could could amend his form for him at any point before June 2017, according to the claim. 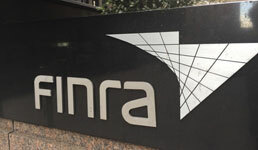 That month, after receiving a refusal from an insurance firm to renew him in his role as an agent, Paquette did disclose to Investacorp that he was facing a criminal charge, without giving away further details, Finra says. After a brief investigation, Investacorp amended Paquette’s Form U4 with the felony charge disclosure, according to the complaint. Paquette was convicted of the felony Jan. 10, 2019, and received a 10-year sentence, Finra says. Paquettte began his financial services career in 1991 at Merrill Lynch, which he left after less than a year, and worked at nine other firms until getting discharged from Vestech Securities Jan. 15 this year for “not forthcoming with the facts and circumstances surrounding the court case,” according to Paquettte’s BrokerCheck profile. He also has five customer disputes on his record dating back to 1999, three of which were denied, with one getting settled and another withdrawn, according to BrokerCheck.